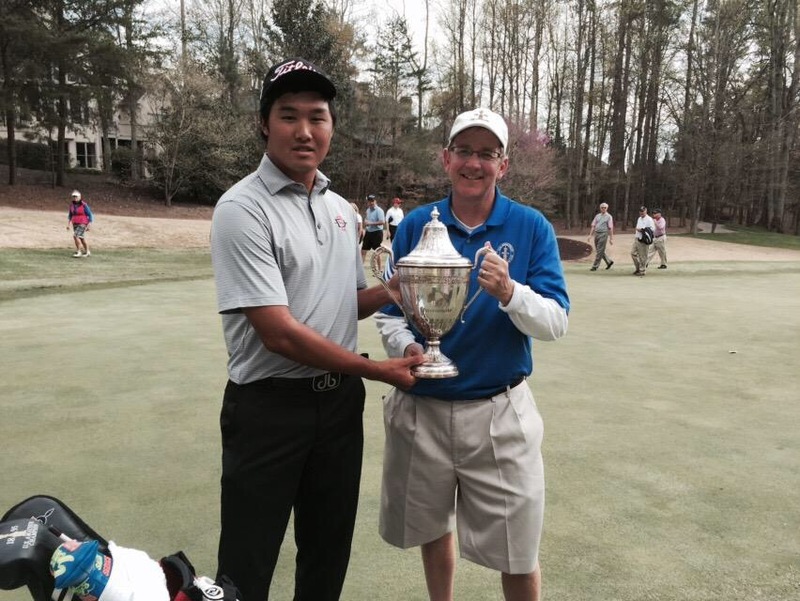 UPDATE – Gunn Yang today beat Bradley Neil 3&2 in the 2015 Georgia Cup. Well done Gunn ! 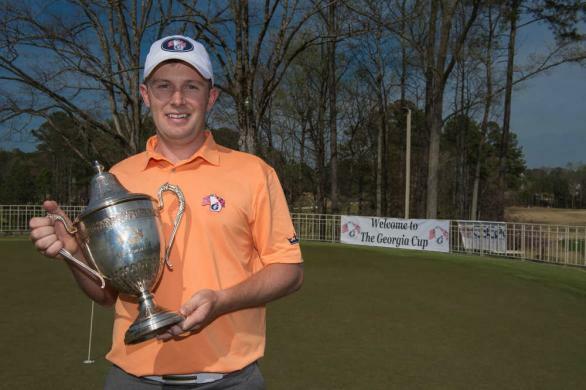 The Georgia Cup is a charity challenge match played the week before The Masters between the reigning United States (US) Amateur Champion and British Amateur Champion. It was established by The Golf Club of Georgia in 1998 and is played on either their Lakeside (L) or Creekside (C) Courses in Alpharetta, GA. 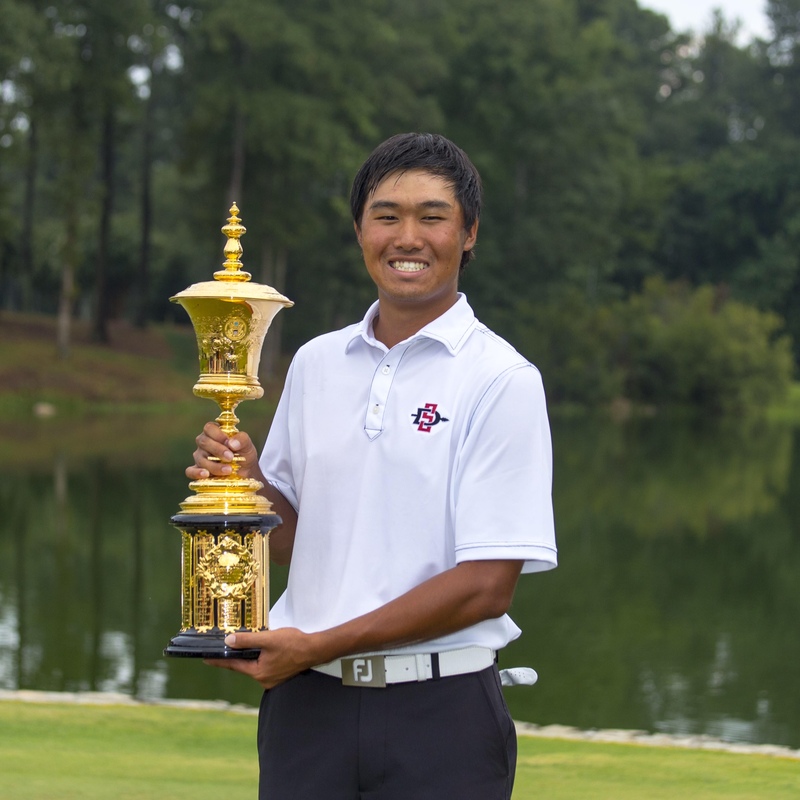 The 2015 and 18th match will tee-off today at 1.00pm local time on the Lakeside Course and will be played between South Korea’s Gunn Yang and Scotland’s Bradley Neil, respectively the 2014 US and British Amateur Champions. Both contestants always move on to nearby Augusta to prepare for and take up their Masters invitations after the match. The British Amateur Champions lead their US counterparts 9 – 8 in the series, helped in no small part by victories in the last three matches. This entry was posted in Georgia Cup and tagged Amateur Champion, Bradley Neil, Gunn Yang, The Georgia Cup. Bookmark the permalink.